Warwick Pond, an 85-acre freshwater pond located near TF Green Airport, and Oakland Beach, a popular beach located on Greenwich Bay, are two different waterbodies with one big thing in common-they are facing pollution that is carried by stormwater, or all of the water that runs over the ground after rainfall or snow melt. In 2018, the City of Warwick will be reaching out to residents of the Warwick Pond and Oakland Beach neighborhoods to teach residents and visitors about the simple steps they can take to help protect these waterbodies. Small changes to activities such as lawn care and pet care can make a big difference towards helping to protect Warwick's waters. This education and outreach effort, which the City of Warwick is undertaking in partnership with the Southern Rhode Island Conservation District, will consist of educational mailings, free events and workshops for residents, and more. Look for information about what you can do to help on the back of your City of Warwick water bills in 2018, as well as on the Big Belly waste receptacles at Oakland Beach. 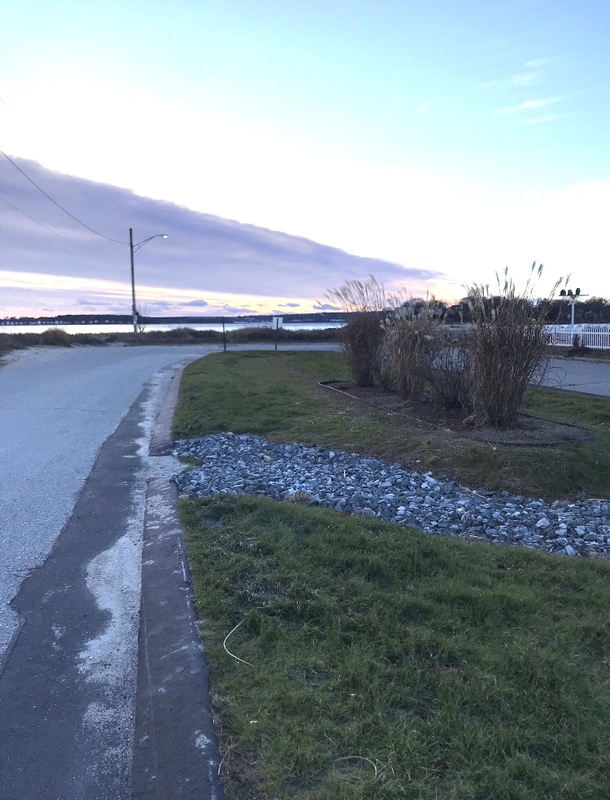 It will help to support City of Warwick Engineering efforts such as the stormwater management practice shown above, which channels stormwater to attractively-planted basins in the Oakland Beach neighborhood so that it cannot carry pollution towards the ocean. If you would like more information about this project, or are interested in joining the project's Steering Committee, please contact Molly Allard from Southern Rhode Island Conservation District at mallard.nricd@gmail.com.